At Atkin Grant & Lang we are committed to providing the highest standard of service and products, as well as offering a relaxed and welcoming atmosphere. 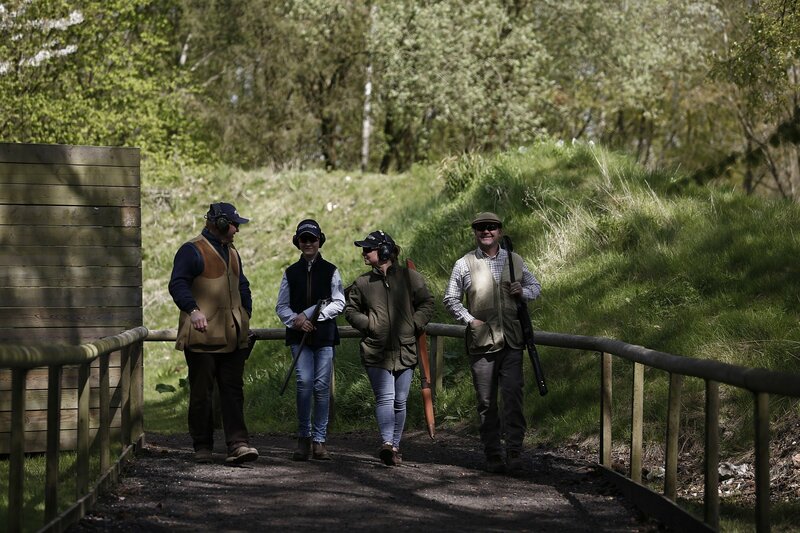 Our 'state of the art' shooting ground is open to all, catering for complete beginners to the experienced shot. Our team of friendly, knowledgeable instructors are available for novice, experienced and group coaching. The ground regularly hosts open shooting events throughout the year - more information can be found under the events section. We are one of the few English gun manufacturers that employ a team of qualified Gun Makers in-house, making new and refurbishing / rebuilding classic English shotguns. We also have an onsite gun shop, stocking a range of new and second hand shotguns, rifles and air rifles, as well as shooting accessories and clothing. Please feel free to pop in and visit, our staff will be happy to show you around the ground and talk through any requirements you may have. Our shooting ground, retail shop and gun making workshops are situated just a few minutes off Junction 9, M1 near Markyate in Hertfordshire.